The other night at a PTA meeting, one of the mothers took our a Girl Scout cookie sheet. It pulled at my heart strings. All of the memories of Girl Scouts: selling cookies, going to camp in the summer, winter camp outs in the lodge, earning badges, doing service projects and more. I started Girl Scouts as a Brownie in first grade and continued with scouting until middle school. I was lucky enough to have my mother as our troop leader for most of that time (Thanks Mom!). Our core group expanded in numbers and we all bonded as we grew and learned together from first to sixth grades. As we moved onto middle school, most of us stopped scouting. A few of us did things with another troop. By high school, most of us had moved onto other things. My new calling was Key Club – an international service organization. Growing up, I always imagined I would one day be a Troop leader. With two little boys, Girl Scouts is not in my future. At this time, NHL is not in Boy Scouts. The troop at our school mainly does things on Saturday. As NHL gets closer to his Bar Mitzvah, he will be busy Saturday mornings getting ready for his big day. We still may look into a Jewish Pack for him in our area, but not completely sold on it yet. Were you a Girl or Boy Scout growing up? If you have children, are they into scouting? I was a girl scout as a child. For a few years. Big Brother is not a boy scout and I actually do not plan to allow him to become one. I do not feel comfortable supporting an organization that is outwardly discriminatory to gay men. No I was not and none of my children were involved. .-= Annie´s last blog ..UpBeat Energy Refreshing Drink Coupons! =-. I too started as a Brownie and graduated to a Girl Scout. I LOVED those years!!!! My mom was our leader as well as my brothers Cub Scout leader. Nope, never a girl scout, but I did go to summer camp. I remember mondays was swimming, and not sure on the other days except thursdays that was horseback riding, and friday was kraft day. We sang and learned silly songs. I really enjoyed those times. My daughter however, was a brownie, but then we moved where there wasn’t anything close by so that was over. .-= Niky @ Design It Chic´s last blog ..Aloha Friday – The brain attack! =-. I was never in girl scout’s. .-= Natalie A.´s last blog ..Aloha Friday! =-. I was a brownie and in 4-H. My daughter was in GS from Brownies to Cadette’s. I was a gs leader for juniors and cadette’s. High school loses the girls. I wasn’t a girl scout but I wish I was. My children hopefully when they get older will be joining the boy scouts. .-= Angie´s last blog ..Aloha Friday =-. My step-dad was the pack leader of the Cub Scouts – I lasted three months and six hours into a two day camping trip. I got sick and never went back. I worked at a summer camp for six years and would not trade that experience for the world. .-= RobMonroe´s last blog ..Set Up by My Wife =-. 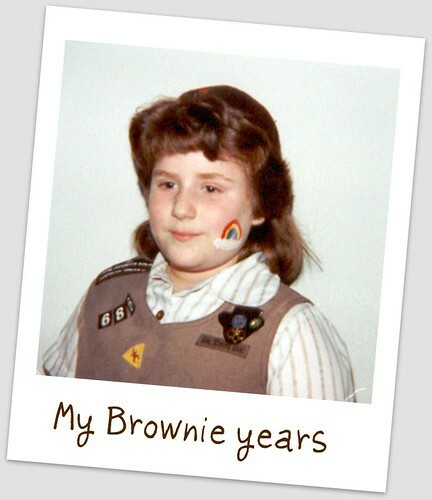 I was a Brownie but I ended up quitting b/c the girls were really clicky and I didn’t have any friends in my troop. My mom kept my Brownie costume. lol My son isn’t in the scouts but he was active in church AWANA. 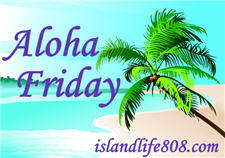 .-= shelly´s last blog ..Aloha Friday: Whatcha Doin’? =-. very cute picture!!! I went to brownies!My big girls didn’t and if my baby girl wants to we will!!! I was a Brownie, never made it to Girl Scouts but love it anyway. Yes, I was a girl scout until I was 17. I was a Counselor in training at summer camp. My kids are not into it though, we did it for a short time however got out of it, I don’t believe it is what it used to be. I made it for 2 yrs as a Brownie, but then my leader quit. My daughter is in her 4th year now and is a Jr. Girl Scout. I did for a short time- until one girl died of leukemia and another one ‘left the group’. Things got sour for everyone from there. My kids both did it for a short time but, they were way too busy with other things to continue. They don’t do girls scouts and such in my country so no, I wasn’t. However I am hoping that my children will choose sports, karate or dance or all three or maybe there will be something else they want to do and is better at. I was a girl scout but my girls are too young yet for scouting. I was a girl scout growing up. I have three boys and I am not sure if I would get them into scouting or not. I haven’t thought about it too much because I am overwhelmed with getting them to sports activities as it is. I don’t know if I can handle one more thing! .-= Kimberly@PrettyPinkMomma´s last blog ..I Love these Chic Designer Aprons! – Flirty Aprons Review and Giveaway =-. I was a girl scout from the time I was in 1st grade, all the way through high school. I found a great troop for junior scouting, and then for cadettes I had the troop leaders sister. After high school I stuck around and helped out with the troop. To this day, I still keep in touch with my leaders. They are like family to me. I truly hope that my children enjoy scouting as much as I did. I am looking forward to both boy and girl scouting!! I was girl scout for one year and just really didn’t like it. I loved Indian Princesses though. .-= Thom´s last blog ..What Flavor Hot Chocolate Are You? and A Winter Poem =-. I was also a brownie and stayed in Scouts until middle school. As you know Alex is in Cub Scouts and he really enjoys it. We had a girl scout ring the bell last week and I couldn’t say no to buying cookies! I was in Brownies and Juniors for Girl Scouts. My boys are not in boy scouts. My daughter is too young. I am a Daisy Girl Scout Leader though and I plan to be a leader when my daughter gets into Girl Scouts. I did Brownies for one year and Girl Scouts for 2 years but actually never really liked it. The girls were always so cliquish and the concept around here was entirely driven around cookie sales. I don’t let me kids participate in it. .-= Cat @ 3 Kids and Us´s last blog ..The Speed of Life and Motherhood =-. Yep, I was a brownie!!! Still have my old uniform…I haven’t even thought about my little girl yet. Hmmm will have to think about it. .-= Debra @ A Frugal Friend´s last blog ..Fiction Friday =-. I made it up to earning the Silver Award. Then I dropped out. I loved Girl Scouts and if I had girls, I would be a troop leader. P.S. I’m so glad it’s cookie order time – woo hoo! Love your pic by the way! .-= Shannon (The Mommy-Files)´s last blog ..Babies Base =-.